Scientific evidence shows that a person's health starts deteriorating from the age of 25. Most people, however, do not feel the symptoms until serious illness develops. They start to get muscle aches and painful swelling that can lead to inflexible, rigid joints and numbing paralysis. By this time your quality of life would be so poor that you will no longer be able to live a comfortable, pain-free existence. You mighthave to waste precious working hours on doctor visits. Worst of all, you will have to cough out exorbitant amounts of medical fees just to keep body and soul together. BUT WAlT! HELP IS AT HAND! You can prevent early ageing and protect against debilitating illnesses. Traditional Chinese Medicine (TCM) recommends massage and acupuncture as two of the safest and most effective methods. FULL BODY MASSAGE can also detect illnesses that you may be unaware of, as pain under pressure is the earliest indicator of a potential trouble spot. The sooner it is detected, the sooner you will be cured. Time Traditonal Chinese Medical Acupuncture Centre's resident physician and owner Dr Zhang Lirrg has over 20 year of medical experience. She uses acu-pressure points in the pulse to detect illness, deals with patients' medical needs and inquiries, is adept at dispensing medicine and uses acupuncture to holistically heal her patients. Our massage therapists are registered under the Traditional Chinese Medicine Practitioners' Board. all the attendant complications that can arise from having too much body fat. To serve our customers better, Time Traditonal Chinese Medical Acupuncture Centre has also introduced Traditional Chinese Beauty and Facial Treatments. 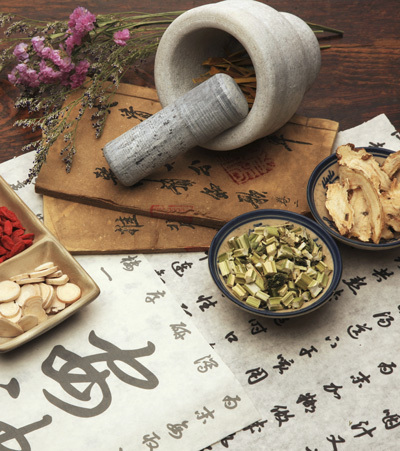 Using special methods and traditional Chinese medical principles, we will harmonise your nervous and endocrine systems, promote blood circulation, reduce wrinkles and scarring, remove pimples, blackheads and whiteheads, lower heatiness and combat poisons. The methods are natural and the results effective. You will see a great difference in your skin tone and clarity immediately. Best of all, our prices are fair and reasonable to your pocket. Time Traditonal Chinese Medical Acupuncture Centre not only specialises in treating common illnesses, we also deal in obstetrics and gynaecology, pediatric care and the removal of skin ulcers and carbuncles. We are also expert in dealing with hard-to-treat psychiatric illnesses like schizophrenia; depression and epilepsy (fits, shock). We also treat diabetes; post-menopausal symptoms; hypo-and hyper-thyroidism (goiter); prolapse of all internal organs, eg: the stomach, uterus etc; constant coughing due to chronic branchial inflammation; asthma and male and female infertility, gallstone, epilepsy, tic douloureux and smoking cessation. As for hard-to-treat skin problem due to underlying illness, Time Health-Life Centre has effective methods that gave excellent results. We can treat skin allergies, festering pustules, skin eruptions, eczema, psoriasis, tinea, ringworm and malignant and non-malignant tumor of the skin and blood vessels and-vitiligo.